Around 1840, Jacob Abbott bought a parcel of undeveloped land, half sand hill and half marsh, across the road from his father’s homestead, Fewacres. An influential children’s writer and author of the Rollo Book Series, Abbott designed a whimsical landscape of ponds, narrow paths and drives, giving them playful names borrowed from his books. He converted the marsh into Rollo Pond and cleared away sand to establish the ornamental grounds around his cottage. He started building a miniature mountain modeled after Mount Blue, visible in the distance, and named his property “Little Blue.” In 1844 his brother took over the property and started the Abbott School for boys, known locally as the Little Blue School. The ten-acre property was purchased by A.H. Abbott in 1849 (no relation to Jacob), who continued to operate the school and develop the landscape. 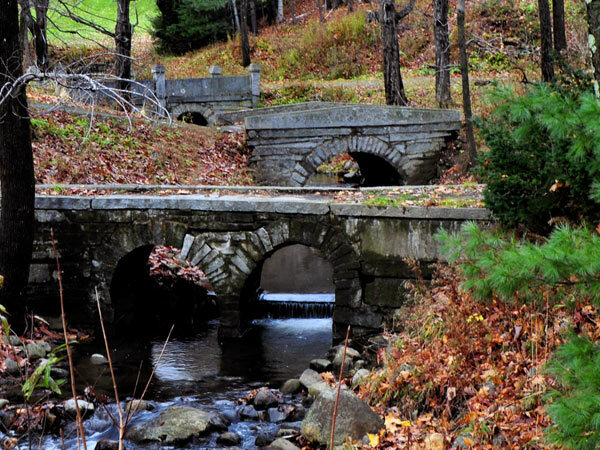 Abbott finished the “mountain,” built stone bridges modeled after famous bridges from all over the world, planted trees and shrubs, and created an arboretum. In 1918 the school closed and was later bought by the Farmington Normal School (now the University of Maine at Farmington). 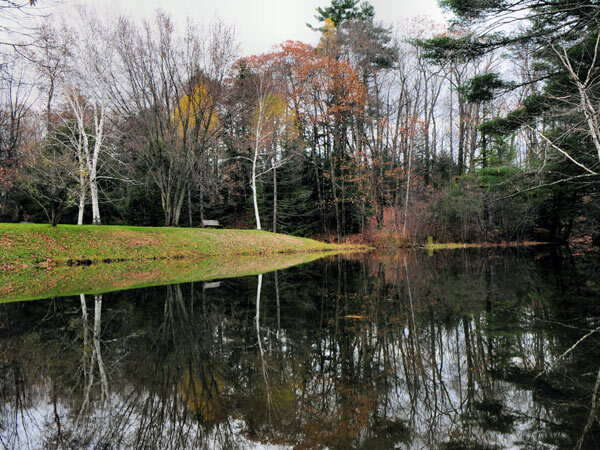 After years of neglect, the State took the property by eminent domain in 1969, cleared the woodland, and dredged the pond. In 1989 the Roberts Learning Center was built on the site of the original Abbott School. 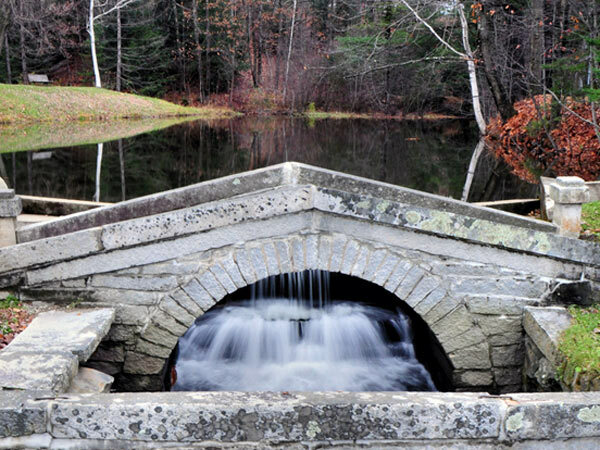 Today still part of the University of Maine, the landscape includes Rollo Pond, four bridges, remnant woodland trails, and a portion of the arboretum which has been incorporated into the university’s Arboretum Trail.